It is true that the two cartridges are quite similar. However, there are some subtle, yet important differences between the .223 Remington and the 5.56x45mm cartridges. Today, I'll go over some of the differences between the two rounds and some good practices to follow when using them. 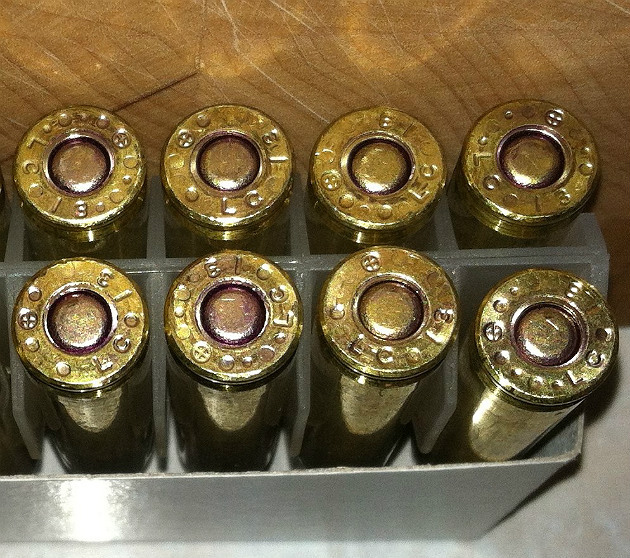 As you can see in the photo below, .223 rounds are virtually identical in size to 5.56mm rounds. This means that the majority of the time, .223 ammunition will chamber and fire in a 5.56mm chamber and vice versa. However, the biggest difference between the two is that 5.56x45mm ammunition is loaded to a significantly higher pressure than .223 Remington ammunition. Correspondingly, 5.56mm chambers are designed and built to withstand the increased pressure, while .223 Remington chambers generally are not. 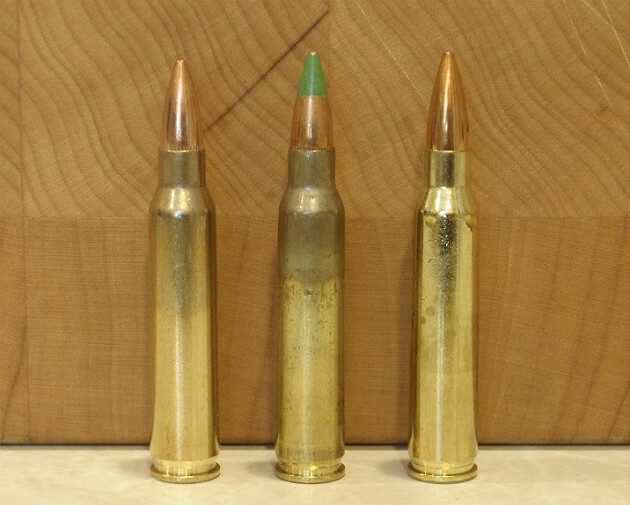 A 5.56x45mm NATO round (center), flanked by .223 Remington bullets. Originally designed as a military cartridge, the 5.56mm NATO was meant to be used with a longer leade with a shallow angle. In addition to producing increased velocity, this also had the advantage of improving reliability by allowing more buildup of carbon and other "gunk" without adversely affecting the function of the rifle. All other things being equal, a shorter leade results in increased pressure when compared to a longer leade. This means that firing 5.56mm ammunition (which is already loaded to a higher pressure) out of a .223 Remington chamber can produce dangerous amounts of pressure. Yes, it is true that not all chambers are the same, and the same is true for ammunition. For this reason, it is absolutely possible to fire 5.56mm NATO ammunition out of .223 Remington chambers with no issues. However, combine ammunition that is toward the top end of acceptable safety limits with hot summer temperatures and a little too much fouling in the chamber, and you stand a good chance of running into some serious trouble. The rifle probably won't blow up, though it is possible. More likely, it will blow the primer out of the primer pocket on the case and it will end up somewhere in the internal workings of the rifle. Obviously, this is not good and can result in a frustrating and dangerous situation. To avoid this, ensure that you only fire the appropriate ammunition in your rifle. First, find out if your rifle is a .223 Remington or 5.56mm NATO. On an AR-15, look on the top of the barrel near the muzzle. On most other rifles, look on the receiver or the side of the barrel near the chamber. If it says ".223 Remington," then you can be pretty sure that is what you have. However, if it says "5.56mm," that does not necessarily mean that it is safe to fire all variants of 5.56mm NATO out of. Unfortunately, not all 5.56mm rifles are created equal, and the only way to be 100 percent sure is to either measure the throat size yourself, or get a reputable gunsmith to do it for you. Until then, it is best to only fire .223 Remington ammunition in the rifle. 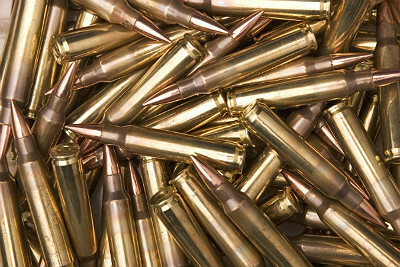 How do you determine if a particular type of ammunition is .223 Remington or 5.56x45mm NATO? If the ammunition is packaged as M193 or M855 (or a variant of those), it is definitely 5.56mm. If you don't have access to the packaging, or it doesn't say, look at the headstamp on the base of the bullet. If the headstamp says "5.56x45mm" or is 2-3 letters and 2-3 numbers (such as "LC 13" in the photo below), and has a cross inside a circle, then that ammo is 5.56mm. If the headstamp says something like "Hornady 223 Remington," then it is .223 Remington. If you are still not sure after looking at the headstamp, treat the ammunition as 5.56mm just to be on the safe side. Don’t fire this ammunition in a .223 Remington chamber. In summary: .223 Remington ammunition may be shot safely in either a .223 Remington or a 5.56mm chamber. However, you should only shoot 5.56mm ammunition in a rifle with a 5.56mm chamber or you are risking a potentially catastrophic (and dangerous) incident. As a result, if you're looking for a rifle to shoot the widest variety of ammunition, get one chambered in 5.56x45mm (and verify that it does indeed have a 5.56mm chamber) as this will let you shoot both cartridges safely. The American Rifleman and Guns & Ammo Network were both used as references for this article.